Based on reviews from 19 experts and 255 users. Learn how our rankings work or see our guide to Carmelo Anthony basketball shoes. Updated Apr 2019. However, Carmelo Anthony himself was quick to deny the claims. "It's false. False. Let's not even discuss that," he said when interviewed. "I just signed an extension with them. I don't read into false news." Anthony signed a long-term extension with the Jordan brand just in January, or roughly nine months prior. Given all those, the only safe statement is that the future of signature Carmelo Anthony shoes is a lot more uncertain than others. Given the significant decline of the performance shoes industry, cutting off Anthony’s signature line is not a far possibility. But the fact that Anthony just signed a long-term extension with Jordan also makes the release of another signature shoe very logical. Whatever the future holds, the facts of the past and the unfolding events of the present already spell a significant legacy for this small forward from the Oklahoma City Thunder. For one, Carmelo Anthony’s signature Jordan basketball shoes are among the very few that saw at least ten iterations. They join other basketball signature shoe collections such as the Air Jordans of the great MJ, LeBron James basketball shoes, and Kevin Durant’s KDs. Just what did this guy do to deserve the rare record that his line of Carmelo Anthony basketball shoes will forever be remembered for? Carmelo Kyam Anthony traces his roots to the streets of Brooklyn, New York City. He lost his father to cancer when he was just two years old. When he was eight, his family moved to the populous city of Baltimore, Maryland where life, as described by Anthony’s childhood friend Kenny Minor, is marked with violence and crime. “From drugs, to killings, to anything you can name that goes on in the roughest parts of town, we've seen and witnessed hands on. Those are the things that teach you toughness and keep you mentally focused on your goals," Minor said. Anthony eventually attended Towson Catholic High School, a private learning institution in one of Baltimore’s suburbs. He stayed there up to his junior year only, but his stint already delivered a lot of achievements that surely helped improve the school’s already stellar athletics reputation. He won numerous titles, including the 2001 Player of the Year by both the Baltimore Sun and the Baltimore Catholic League. In spite of his on-court success, basketball scouts still had their reservations. While his skinniness and perceived lack of physical power surely contributed to such doubts, the greatest blows came from his lackluster academic performance. His grades were dropping and he had been called out numerous times for skipping class. Because of his desire to go to Syracuse for college, his grades had to be seriously worked on. In his efforts, Anthony transferred to Oak Hill Academy in Virginia to finish high school. His senior year in Oak Hill was nothing short of was illustrious. He led his team to victories in various pre-season tournaments, including the Nike Academy National Invitational. He also came face-to-face with and overcame St. Vincent - St. Mary High School’s LeBron James in one of the championship games he played. His stellar record in Oak Hill won for him a place in USA Today’s All-USA First Team and Parade’s First Team All-American. His academic performance also improved, and Carmelo Anthony was eventually admitted to Syracuse University. “...the best player in college basketball. It wasn't even close. Nobody was even close to him last year in college basketball. That's the bottom line,” this was what Syracuse head coach Jim Boeheim had to say about the college freshman. Carmelo Anthony became instrumental in garnering the Syracuse Orange’s first and by far the only NCAA Championship in 2002-2003. Because of his contribution, he was eventually named the tournament’s Most Outstanding Player. He was also picked as the NCAA Best Freshman of the Year. Because he already achieved so much in his first season with Syracuse, he declared himself eligible for the NBA draft in 2003, consequently putting an abrupt end to his successful college basketball career. Carmelo Anthony was the third overall pick in the 2003 NBA Draft. He was chosen by the Denver Nuggets, one of the worst performing teams the previous season. Anthony proved to be a valuable pick as he quickly became instrumental in turning the team’s fate from being an NBA laughing stock to being a tough playoff contender. He eventually was a runner-up to LeBron James for the Rookie of the Year title. In his fourth season with the Nuggets, Anthony made his All-Star debut as a replacement. He scored 20 points and nine rebounds. In the next season, he made his second All-Star appearance, this time as a starter for the Western Conference Team. Two seasons later, he made his third and final All-Star appearance as a Nugget. Together with Chauncy Billups, Carmelo Anthony was traded to the New York Knicks in the 2010 to 2011 season. Two seasons later, Anthony figured significantly in the campaign that delivered to the Knicks their first Playoff series win since 2000. Despite the fluctuating performance of the New York Knicks in the succeeding seasons, Carmelo Anthony continued to embellish his record with new accomplishments. He continued to rise on the list of the NBA’s all time career points list, overtaking notable players such as Charles Barkley. He has also been hailed as the player of the month or week in various occasions. He has also been elected to participate in seven more All-Star games. During the 2017 offseason, Anthony demanded to be traded after some run-ins with the Knicks leadership. He chose from at least three teams, eventually joining the Oklahoma City Thunder just a few weeks before the start of the 2017-2018 season. His other two options were the Cleveland Cavaliers and the Houston Rockets. The Oklahoma City Thunder made it to the postseason Playoffs, but the team fell to the Utah Jazz in Game 6 of the first round of the Western games. Though he was never complacent or selfish, analysts seem to agree that Carmelo Anthony is not making such an important impact in his new team. They say that he just doesn’t fit well with OKC, and the team has in numerous occasions fared way better when Anthony was on the bench. It is just his first season with the OKC, and the future is still interesting for this heavily decorated athlete. Aside from being a celebrated NBA player, Carmelo Anthony is also an active representative of the United States in various athletic tilts. Fresh from being drafted, he participated in the 2004 Olympics and won bronze for the US. The team was composed of then rookie LeBron James and Dwyane Wade. They were joined by basketball veterans Allen Iverson, Tim Duncan, and Stephon Marbury. In 2006, Anthony is Team USA’s co-captain with Wade and James in the FIBA World Championship. The team, which included Chris Paul and Dwight Howard, won the bronze in that tournament. Carmelo Anthony was named to the FIBA Championship All-Tournament Team and hailed as the USA Basketball Athlete of the Year after setting a record-high 35 points in a game against Italy. In 2007, Anthony again joined in another FIBA tournament, this time in the tilt among the countries of the Americas. Anthony was joined by the likes of Lebron James, Kobe Bryant, and Dwight Howard in Team USA, which eventually won the gold after going through all ten games of the tournament undefeated. Together with Chris Paul, LeBron James, Dwight Howard, and Dwyane Wade among others, Anthony participated in the 2008 Olympics. Team USA eventually won the gold. The whole team was eventually hailed as the USA Basketball Athletes of the Year in recognition of their victory. In the next Olympiad, Team USA successfully defended their title in the final bout against Spain. Anthony is joined this time by LeBron James, Chris Paul, Kevin Durant, Russell Westbrook, Kobe Bryant, Anthony Davis, and James Harden among others. Carmelo Anthony broke a number of records when he again joined the 2016 Summer Olympics in Rio de Janeiro, Brazil with Kevin Durant and first-time Olympians Kyrie Irving, Paul George, Draymond Green, and Klay Thompson among others. 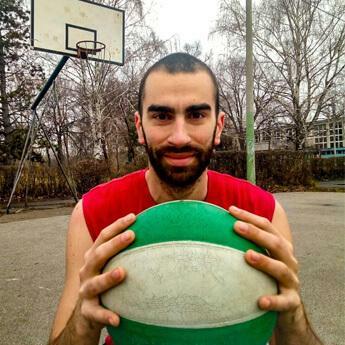 He became the first male basketball athlete from the US to participate in four straight Olympiads. He also became Team USA’s scoring leader after going past the record set by the King LeBron James. For this, he is hailed as the USA Basketball Athlete of the Year for 2016, a title that he shares with Team USA teammate Kevin Durant. 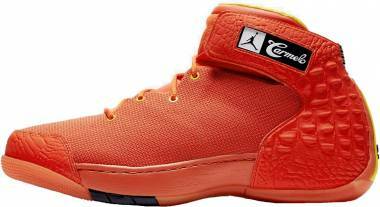 Roughly a year after getting drafted, the Jordan brand released the first pair of Carmelo Anthony basketball shoes. It was known as the Jordan Melo 1.5 because its design and functions are heavily inspired by the Air Jordan 1 and the Air Jordan 2. Jordan Melo M9. Released in 2013, the ninth Carmelo Jordan sneakers has Zoom Air units at the heel and forefoot. The material that the outsole is made of varies depending on the colorway, but it always has the herringbone setup. To ensure a secure lockdown, the shoe has a lateral TPU cage and Flywire cables. The cables are contained in a brightly colored material that rises from the triangular cutouts on the patent or smooth grain leather upper, creating a unique aesthetic for this pair of Carmelo sneakers. Jordan Melo M10. The tenth Melo basketball shoes are often compared with the Air Jordan XX8 because of the similarities in both their looks and the technologies used on them. The Melo M10 has a highly responsive Zoom Air at the forefoot. This unit is a part of a larger Flight Plate system that further maximizes its power. The outsole of this model features intersecting wavy lines that effectively provide a secure grip on the floor. Jordan Melo M11. Weighing only 12 ounces, many wearers claim that the eleventh Carmelo Anthony shoes is among the lightest in the line. Its upper is made of synthetic or real leather depending on the colorway. Jordan’s Flight Web system is applied to the upper to ensure a more secure and highly adjustable fit. To provide the much needed responsiveness, the forefoot has an Unlocked Zoom unit. The heel is satisfactorily cushioned to provide comfort. Because they were released at around the same time, the Melo M11 is often compared to the Air Jordan XX9. Jordan Melo M12. Material upgrades seem to be the focus of the twelfth Carmelo Anthony basketball shoes. The upper of the Melo M12 is made of soft mesh that is said to be very comfortable and supportive. To make sure that the foot stays in its place, the shoe has an internal TPU heel and an external synthetic heel panel. It has FlightSpeed for cushioning, which is composed of a carbon plate that rests on top of an Unlocked Zoom Air unit at the forefoot. Upon landing, the plate absorbs and evens out impact energy, subjecting the Zoom Air unit to a different kind of compression, unlocking and maximizing its potential. Jordan Melo M13. The thirteenth signature Carmelo basketball shoes come with technologies that deliver explosive responsiveness, secure lockdown, and comfort.The upper of the M13 is made of soft mesh that provides aggressive players like Anthony the flexibility that they need. 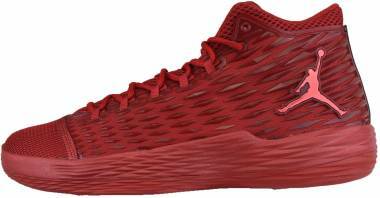 The Jordan brand’s Flight Web system is incorporated in the upper’s design, and it ensures a secure fit. The company’s FlightSpeed cushioning system effectively fuels the wearers’ steps and comfortably cushions their landings. Whether or not there will be a Melo M14 is not yet clear. But one thing’s for sure: Anthony is still signed with the brand so Jordan basketball shoes created for him are still going to drop in the future, even if they are not signature kicks anymore. Definitely, Carmelo Anthony fans still have a lot of things to look forward to. D’Wayne Edwards. D’Wayne Edwards is the man behind the designs of the first five Carmelo Anthony basketball shoes. He is from Inglewood, California who as a child had the dream of becoming a footwear designer. His first job as a footwear designer was with LA Gear. He was only 19, and was attending Santa Monica College in the evenings, majoring in business. Four years later, when he was 23, he became the head designer of LA Gear, making him one of the youngest to have ever been given the responsibility. In 2000, when he was 28, he became a designer at Nike, and his first project was the Goadome 2. Just two years into the job and he was already one of Nike’s youngest design directors. Roughly five years later, he worked on the designs of the Air Jordan XXI and the Air Jordan XXII. All in all, his work spans at least two decades, and a significant chunk of that is spent working on signature shoes. He has founded a school for footwear design called Pensole Academy to give young people a chance at honing their skills early on, a chance that he himself did not have. Justin Taylor. Justin Taylor takes the credit for the designs of the sixth up to the ninth Carmelo Anthony shoes. He is a graduate of the Art/Graphic Design program of the University of Central Arkansas. He worked as a designer for And1 after graduation. After a year, he transferred to Nike/Jordan. Now a senior footwear designer at Jordan, Justin has worked on some Chris Paul basketball shoes and Blake Griffin’s on-court footwear. Austin Jermacans. Austin Jermacans is the winner of the third run of the Jordan brand’s Future Sole Design Program. His winning design is a futuristic take on the Melo M6. The shoe was produced in limited quantities as part of the prize, which included expensive computer equipment that will help launch his career, and officially called the Jordan Melo M6 Future Sole. According to his online profile, Jermacans is now a footwear designer at New Balance. Tinker Hatfield. Currently the Vice President for Design and Special Projects of Nike, Tinker Haven Hatfield, Jr. is one of the designers of LeBron’s Air Zoom Generation and a lot of other well-known shoes like many iterations in the Air Jordan line. He is considered by many as one of the greatest designers of top Nike basketball shoes and Jordan footwear. He has influenced a lot of today’s Nike’s best designers to approach new ideas with no hesitation. Hebru Brantley. Hebru Brantley asserts that there are a lot of other designers who are more talented than him, but he just has the right connections that’s why it is him who got a designing job for Carmelo Anthony’s eleventh lace-up shoe. He is an artist who has Carmelo Anthony and his wife Lala on his list of patrons. He also worked on some of Nike’s installations in Chicago a few years before the Melo M11 deal. The Carmelo Anthony basketball shoes are surely not the priciest signature releases on the market today. We’ve seen costlier items such as the Air Jordan XXXI and the Nike Kobe A.D. NXT 360, which are priced at around $200. Release Dates. When new shoes are released, they are surely going to be the the priciest items on the shelves. The time of release, therefore, is not going to be the not the best time to buy shoes. If you want Melo basketball shoes or any other signature footwear at a discounted rate, the best thing to do is to wait for their most recent version to release. At such times, sellers will want to clear their shelves of the previous models so they offer them at significant price cuts. The downside of this, of course, is being not up to date. But who cares about being trendy when you still get the goodness that characterizes all Carmelo Anthony basketball shoes? New Year. Making promises to be more fit is very common during the new year; even if they usually just remain promises all year round. Dieting guides, workout plans, and other fitness-related outlook are drafted during this time. 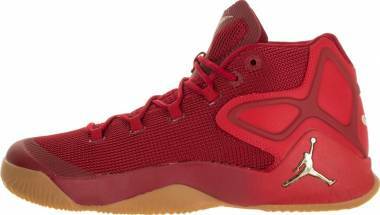 Of course, basketball sneakers that also double as training shoes such as the Anta KT Light 3 and many of Carmelo Anthony’s signature footwear are in demand. In their efforts to capture a bigger chunk of the market, brands most likely bring their prices down, making the season such a good time for shopping. Spring. Brisk walking, jogging, recreational hiking, running, and even casual strolling around parks and open-air malls are great options during spring when the sun is bright and nature is just in its full bloom. Of course, wearing good shoes will make doing such activities a lot easier and safer. Should you need buy a pair of mid-tops, Carmelo Anthony Basketball Shoes for sale are surely good options. Black Friday and the Christmas Rush. In many places, the Christmas season starts the day after Thanksgiving Thursday. This day, often referred to as Black Friday by many, is marked by huge sales everywhere. And good sporting shoes are the first ones to go down. Shoes are great gift items, right? The only downside to Black Fridays is the number of people scrambling over the items on sale, both online and in actual stores. But if you really are in for the savings, being in the crowd is just a little sacrifice. Getting more for less, especially when it comes to signature items such as Carmelo Anthony shoes, is not always an easy thing to do. It may require a lot of willpower to withstand the oftentimes long delay in gratification. But if you really are someone who really wants to get the most value out of every cent, then the wait and the sacrifice will always be worth it. How much is Carmelo Anthony’s most recent shoe deal worth? When news about the end of Carmelo Anthony’s signature shoe line surfaced in October 2017, Anthony himself revealed that he just signed a long-term extension with Jordan in January of that year. However, key details of this endorsement deal, including the salary and bonuses, are not clear. What is known for sure is that Carmelo Anthony will still be a key figure in the Jordan brand’s campaigns. He will most likely be the first to wear future flagship shoe models of the company. Are there special edition Carmelo Anthony basketball shoes? 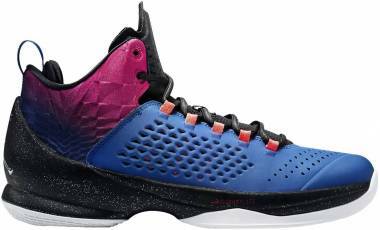 The Jordan Melo M13 is officially considered as the thirteenth model in Anthony’s signature shoe line. However, if we are going to be very strict with numbers, this model is actually already the 15th. A special release was made after the Jordan Melo M6, and another after the Jordan Melo M7. Both were remastered or reimagined versions of the original. Are there any other Carmelo Anthony merchandise? Aside from his Carmelo Anthony basketball shoes with Jordan, there are also other gears that are inspired by Anthony at the NBA Store. These items include T-shirts, jerseys, ballers, and even bobblehead figures.